Hearty rosemary fares well when kept in the refrigerator, lasting up to two weeks if stored properly. However, if your rosemary’s refrigerator shelf life is coming to an end or you have more than you can use in two weeks, it can be frozen or dried for later use. Whether you’ve picked rosemary sprigs fresh from the garden or purchased them from the grocery store, prep them and pop them in the refrigerator shortly after you get home for the best, longest lasting results. If you intend to use your rosemary within a week or two, store it in the refrigerator. 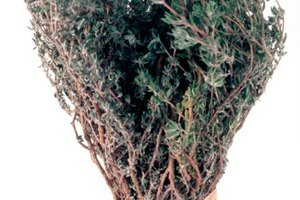 Loosely wrap the rosemary sprigs in a slightly damp paper towel, and then again in plastic wrap or a plastic storage bag. 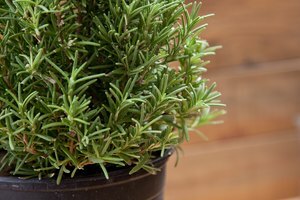 Avoid wrapping the rosemary too tightly, because trapped moisture encourages mold growth. You can also wrap the rosemary in a damp cloth towel and place it in a reusable storage container. Rosemary will last around 10 to 14 days in the refrigerator when stored properly. If you have more rosemary than you can use in two weeks, freeze it for later use. Rinse off the rosemary sprigs and let them thoroughly dry. Finely chop the sprigs into smaller pieces. Place the rosemary in a tightly sealed storage bag and place it in the freezer. Or, divide the rosemary into ice cube tray compartments, fill with water or soup stock and freeze. Once it is frozen, transfer the rosemary ice cubes to a storage bag until ready for use. For the best results, use frozen rosemary within 4 to 6 months. Having to discard fresh rosemary is a bummer, but if the leaves have turned dark brown or become brittle, they are no longer fit for use. 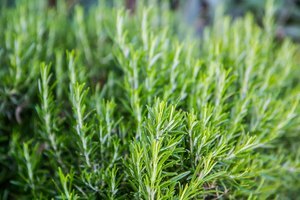 You should also examine the stems closely for any signs of mold if refrigerated rosemary is reaching the end of its shelf life. Dried rosemary isn’t quite as pungent as fresh, but it lasts the longest. Simply arrange whole sprigs of rosemary in a single layer on a plate and place in a cool, dry place for several days. Once they are completely dry, remove the leaves from the stems and store in a tightly sealed container. 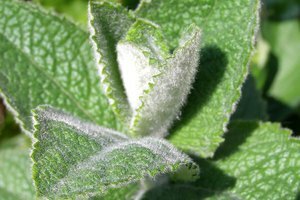 You can store the leaves whole or grind them into a powder with a mortar and pestle or herb grinder if you would like. For the best quality, use within one to three years. Wait to wash fresh rosemary until you're ready to use it. Washing in advance adds excessive moisture and is unnecessary. 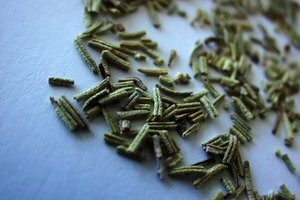 What Is the Difference Between Rubbed & Dried Thyme?